Many of you will know those words from the course of the legendary Round Ireland Race which sets off soon. We wish the very best to the organisers and all the competitors. 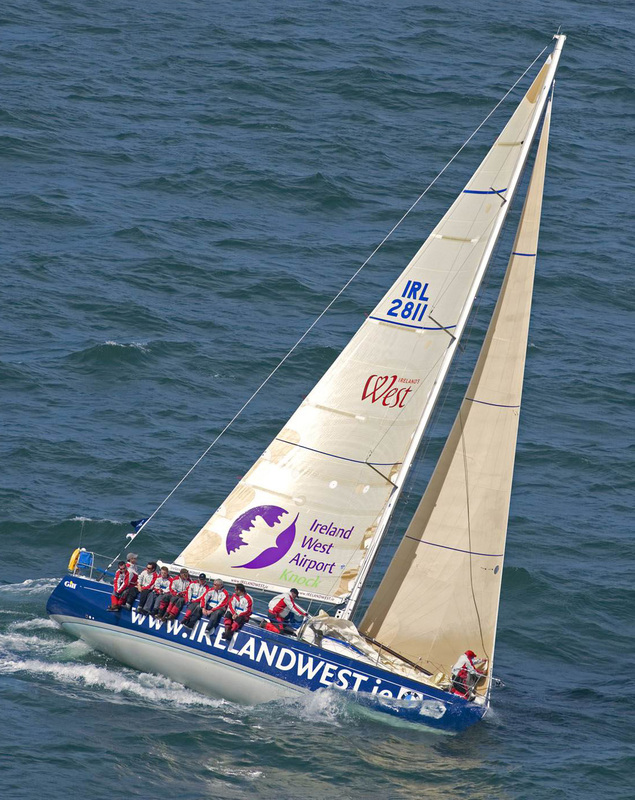 Here’s “us” coming near the finish on “Ireland West” in 2006, winners Class 1 and 4th Overall. From front: Noel Butler (on wheel), Larry Hynes, Aodhán Fitzgerald, Martin Breen, Tommy Smyth, Daithí de Forge, Seamas Moneley, Mark Kilroy, Nigel Moss, Eoghan McGregor and Philip McCafferty. Absent, due to being behind camera, is Barry Heskin. 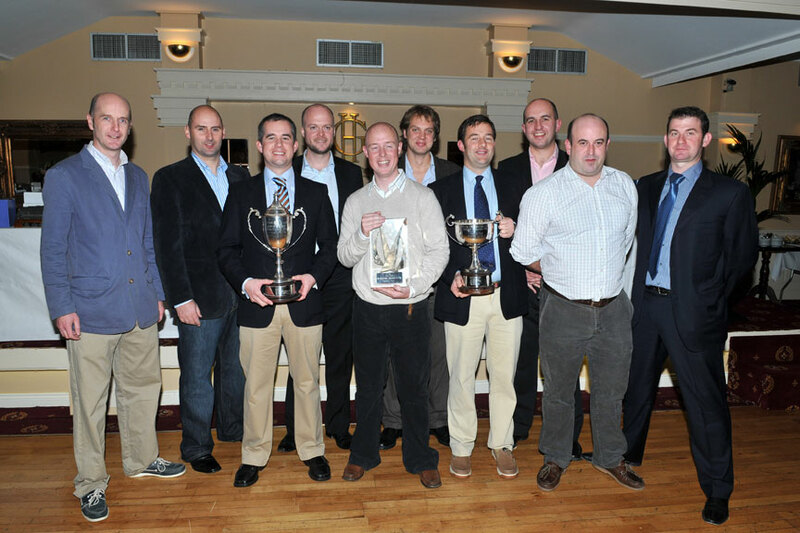 And here’s a slightly different “us” at the prize-giving dinner in Wicklow for the 2008 Round Ireland, which we won overall on Ireland West. 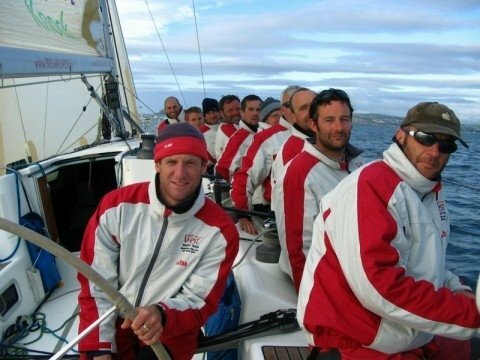 L-R Larry Hynes, Philip McCafferty, Seamas Moneley, Martin Doran, Neil Spain, Darach O Tuairisg, Aodhán Fitzgerald, Diarmuid MacMahon, Tomás O'Shea, Nigel Moss.